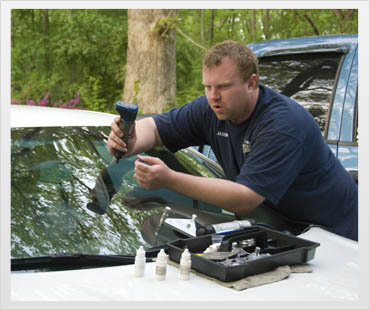 Windshieldrepairsupply.com is in business with the goal of providing the best products at a value to our customers. We have been in the business locally of windshield repair since 2002, and have been distributing windshield repair supplies on ebay since 2004, and are now the largest distributor of windshield and wind screen repair supplies on ebay. initially, we were a wholesale source for injectors, and have grown to be a full service source for all your supply needs. We also maintain the business of training various forms of mobile tech trades, including interior repair, leather repair, and especially windshield and windscreen repair. Our forums offer technical support for those entering the field of dealer reconditioning services, specializing in our supplies, but are open to the public and unmoderated as to other supply sources and opinions and feedback. It is our goal to upload a new tech article every month to the forums for the growth and expansion of our trade, and to educate all technicians in the true art of windshield repair. Where our competitors have strengths, we will openly and honestly point them out, and advise you of the many sources available in this industry, with an eye to openness and honesty to keep you as a long term customer.